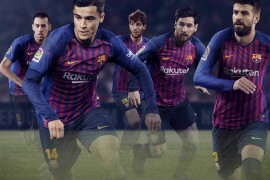 Newly crowned Copa del Rey winners Barcelona launch their new 2017-2018 kit with a new set of stripes. 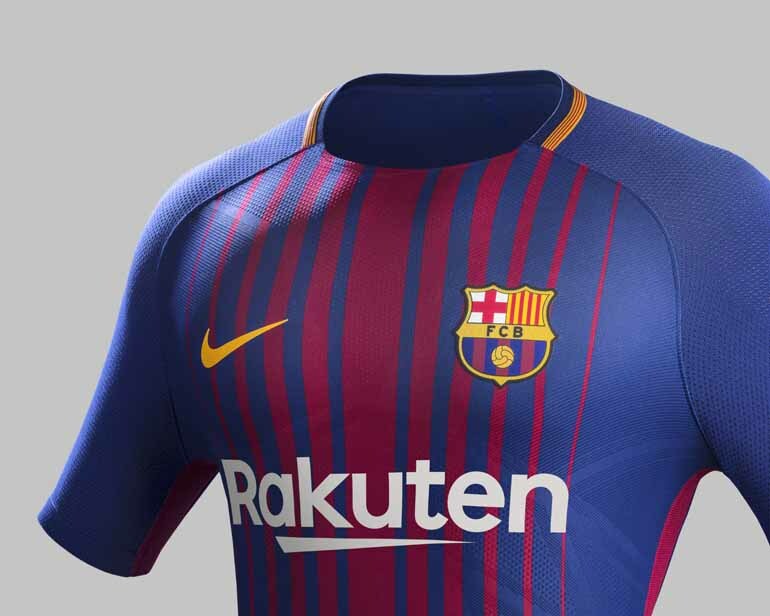 The new Barcelona home kit’s biggest statement is the new take on the vertical stripes which the shirt is renowned for. 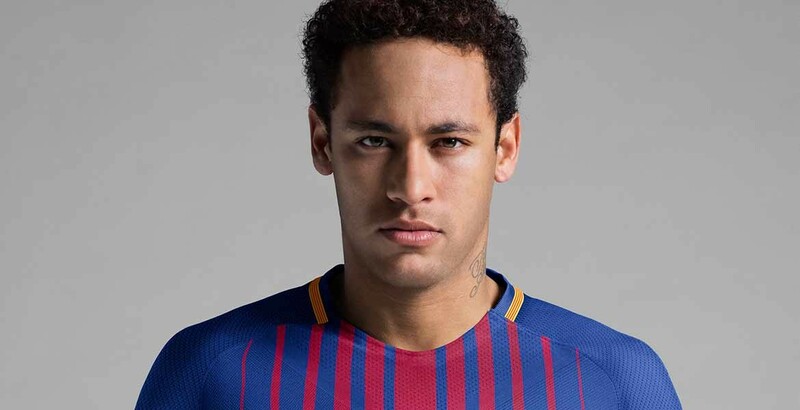 The iconic red and blue Blaugrana is maintained but with one thick stripe, which then splits off into thinner stripes vertically across the chest. 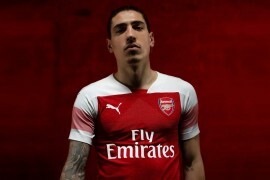 There is one more bar under the arms of the plain blue sleeves. For the first time, the new club sponsor Rakuten features on the front of the shirt. Detailing inspired by the club’s history and culture can be seen on the neck collar, which is partially defined by the Catalan flag, the Senyera. 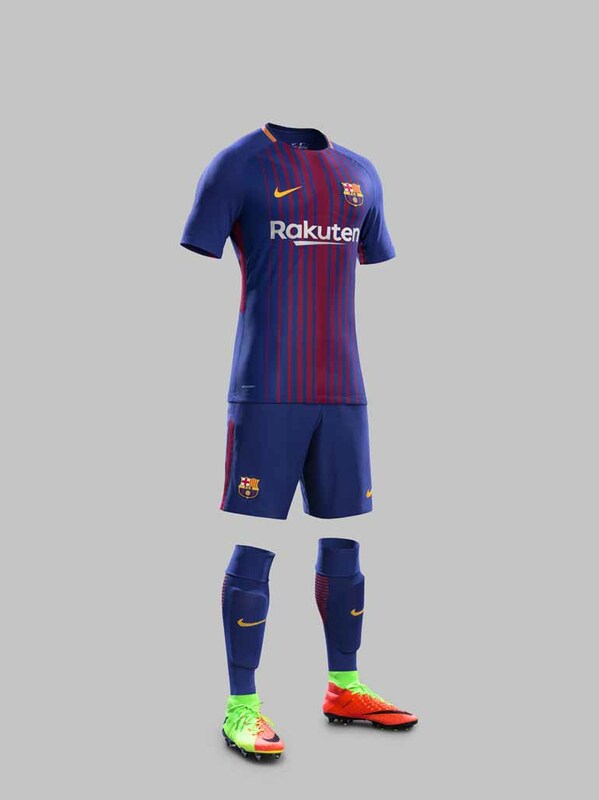 Completing the kit, blue socks feature “Barça” on the front in contrasting gold, whilst a distinctive red linear graphic runs down the back of the calf. 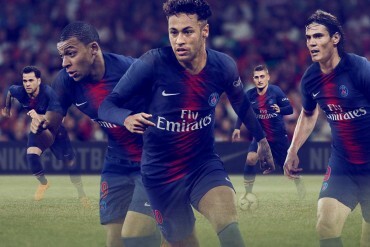 Pulling on the new Barça kit for the first time creates a mixture of pride and optimism for the season ahead. 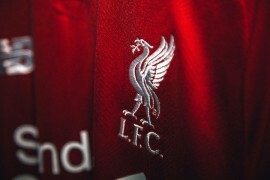 It looks and feels like a modern uniform of sport.